As much an insight into the world of modern publishing as it is a profile about cartoonist Mr Fish (aka Dwayne Booth), Pablo Bryant’s documentary, Mr. Fish: Cartooning From The Deep End is an immersive and edgy experience. 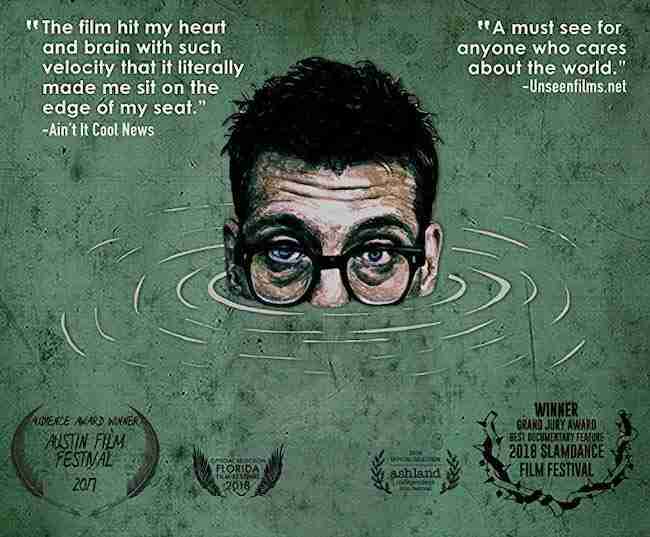 The film looks at the struggles faced by the artist as his special brand of provocative cartoon satire faces extinction in the face of falling sales in print journalism and the inherent fear of offending by online-based media. Booth is a punk rock artist, a man who still has the vibrant sock-it-to-the-man energy of a rebellious teenager – but he’s also a middle-aged, married father of two with bills to pay and commitments to keep. Bryant’s film looks at how he tries to juggle these battling personas, something which isn’t easy when he has few people willing to buy his controversial work. It’s a wonderful human story, which is as uplifting as it is heartbreaking. We see such highs as when he’s hired to create an edgy online animated series (scoring a healthy paycheque) and such lows as when he’s forced to work as a graphic designer for a supermarket in order to make ends meet. Deep down Booth doesn’t want to sell-out and he wants to keep pushing the tough, hard-edge artwork that got him noticed in the first place. However, the world has moved on and few people have the bravery to print his brilliant, but very provocative works . He doesn’t want to soft-peddle his ideals, he wants them to hit you in the face, but that’s something few people want in the 21st Century. Nobody wants to offend or be offended. We see an exhibition of his work which shows his mighty talent but also his very uncommercial appeal – this isn’t the type of artwork you hang in your hallway or office. It’s fascinating to watch Mr Fish at work, intensely creating his art but it’s also heartbreaking to hear him talk to his wife about money problems and keeping a home for his family. Bryant interviews everyone from Booth’s wife and brother to publishers about his work and they all admit that he’s a great talent, but also very stubborn. However, he comes across as an honest, passionate and very likeable man. You’ll be rooting for him once the credits roll, hoping that Mr Fish continues to fight the good fight so he can keep raging against the machine, while also holding things together as a family man. Mr. 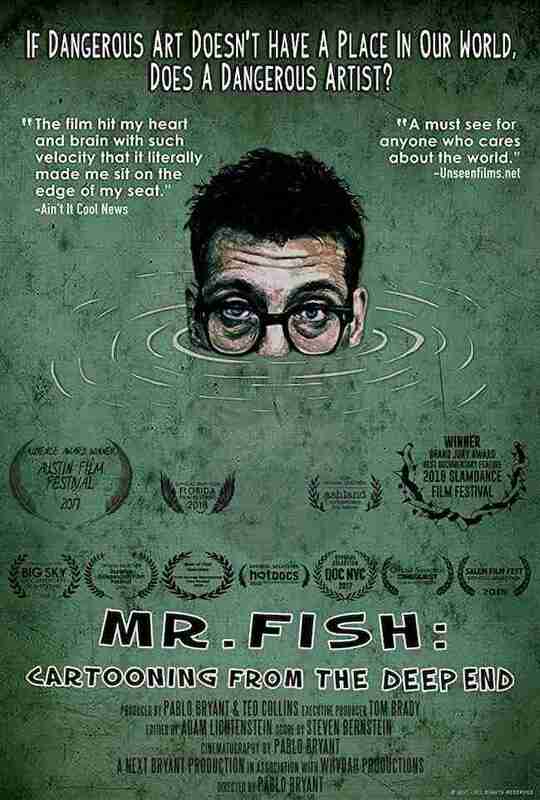 Fish: Cartooning From The DeepEnd will play at the Glendale Laemmle Theatre, Los Angeles from 7 December and it hits iTunes on 18 December.